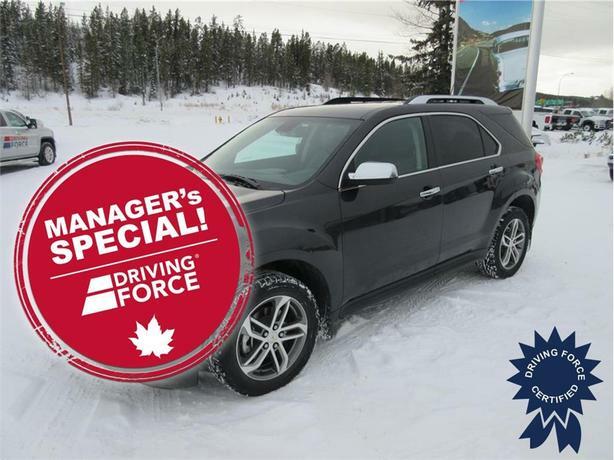 This sport utility vehicle from Chevrolet has been designed with dependable features like power windows, cruise control and a leather interior featuring heat in the front row and a power driver's seat. Other features include its back-up camera, WiFi hotspot technology, navigation system, power outlet, smart device integration and remote engine start. As for the hardware, this machine is powered by a 2.4-litre four-cylinder engine, all-wheel drive and a six-speed automatic transmission. Book a test drive today!